In laboratory environments such as medical, biological, and materials science research groups, samples and test conditions are constantly changing, but accuracy is always critical. The pH3400 is a highly versatile combination pH electrode, specially designed to respond quickly and accurately to rapid temperature changes. The high sensitivity internals allow testing of low ionic samples. Safely measure samples containing heavy metals, TRIS buffer, or proteins thanks to the double junction reference design, which prevents fouling. Even test highly reactive chemicals: with a glass body, the pH3400 is inert to a wide range of chemical reactions. In laboratory environments such as medical, biological, and materials science research groups, samples and test conditions are constantly changing, but accuracy is always critical. The pH3400 is a highly versatile glass combination pH electrode, specially designed to respond quickly and accurately to rapid temperature changes. The high sensitivity internals allow testing of low ionic samples. 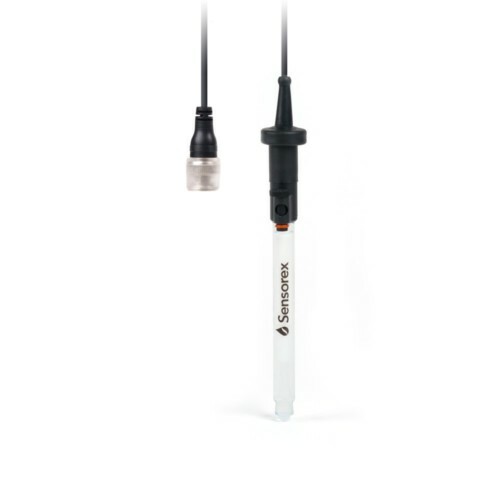 Safely measure samples containing heavy metals, TRIS buffer, or proteins thanks to the double junction reference design, which prevents fouling. Even test highly reactive chemicals: with a glass body, the pH3400 is inert to a wide range of chemical reactions.